For general overviews and market research reports search on terms like: HOSPITALITY, ACCOMMODATION, HOTELS, MOTELS, LODGING; RESTAURANTS, FAST FOOD, FAST CASUAL, QSR/QUICK SERVICE RESTAURANTS, FOOD RETAILING, FOOD SERVICE, BARS, CAFES, CANTEENS, TAVERNS; CAMPING; add terms like MANAGEMENT or INDUSTRY TRENDS. Detailed reports from multiple publishers. Mintel Oxygen provides detailed market research reports in the areas of Beauty & Personal Care, Drink, Food, Leisure & Entertainment, Lifestyles, and Retailing and Apparel. Users must create a personal account and reports can only be downloaded one section at a time. Users must create a personal account and reports can only be downloaded one section at a time. eMarketer provides analysis, market data, and statistics on the Internet, e-commerce, online marketing, social media, and emerging digital technologies around the world. Provides financial ratios and other information on many industries. Technology and market research from Forrester Research, Inc. focusing on the business implications of technology change. USC/netID/webmail password required for access. USC does not have full access to all reports. Not all documents are available in full-text form. Use the "Advanced Search" feature to locate full-text articles available to USC users. Sports Business Research Network provides market research and industry news for the sports industry. SBRnet's site combines market research from the largest single research supplier to the industry, the National Sporting Goods Association; the U.S. Department of Commerce; various sports governing bodies; and full-text articles from 14 magazines and newsletters published by VNU, the world's largest sporting goods trade publisher, and newsletters provided by leading independent industry experts. SPORTDiscus with Full Text is the world's most comprehensive source of full text for sports & sports medicine journals, providing full text for more than 440 journals indexed in SPORTDiscus. Full-text coverage dates back to 1985. The print versions are useful when you have specific publications in mind, but our online access allows you to search across publications using keywords. Click on 'Screening & Analysis' in the dark blue menu bar for advanced search options, including access to Industry research. Statistics on tourism, travel to and from the U.S.
Search under 'Knowledge Center' and 'Trends & Research' for free content. 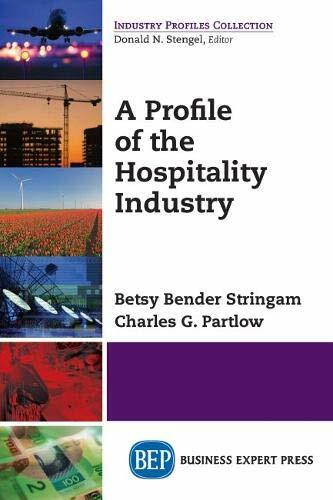 "Environmental & social responsibility in the hospitality industry"; access provided by Hospitality Net. Various editions and topics (technology; sustainability) published annually by Horwath HTL. Industry news and travel glossary; reports available for sale. See 'Complimentary Resources' for statistics and facts.